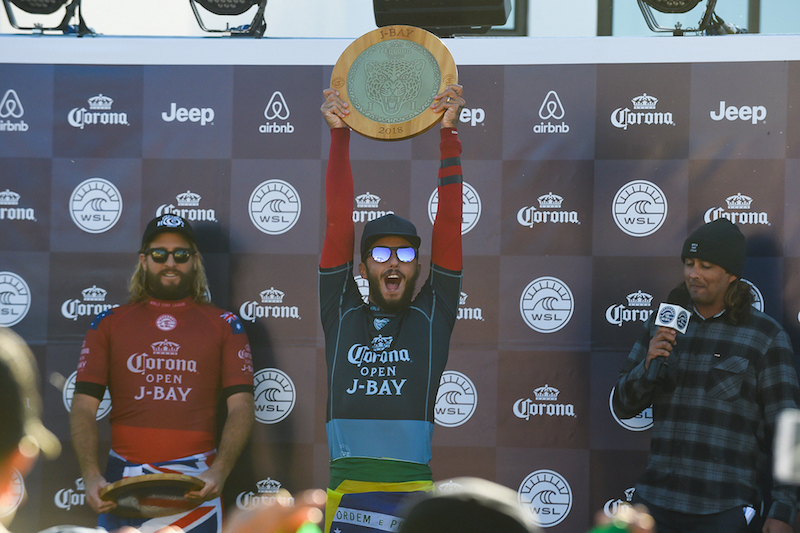 JBay Winterfest, Supertubes, Jeffreys Bay – Brazilian surfer Filipe Toledo has taken the win at the 2018 Corona Open JBay at the JBay Winterfest, making it back-to back wins at this prestigious Championship Tour (CT) surfing event. He beat Australian powerhouse surfer and CT rookie Wade Carmichael in excellent surf today, bringing a close to four days of world class men’s surfing at Supertubes. Next: Entry is free when you head down to uShaka for the surf movie extravaganza of a lifetime!